Uh, oh! 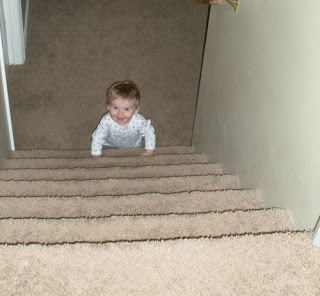 Jordan made his first attempt at climbing a stair tonight and mastered the entire flight on his first attempt. And we thought we would only have to worry about him going down the stairs for a while...such a little smarty pants now isn't he? !